Opening a a bank account when you arrive in Germany will be one of your top priorities. You need one to get paid, to withdraw money (if you don't want to get charged ATM fees every time) and to set up direct debits to pay your bills. It's something you'll need to get sorted during your first few weeks here. The choice you have when considering which type of account can be bewildering, and there are many poor deals out there. Many banks actually make you pay them for the privilege of you having an account with them. Unthinkable in most English speaking countries! 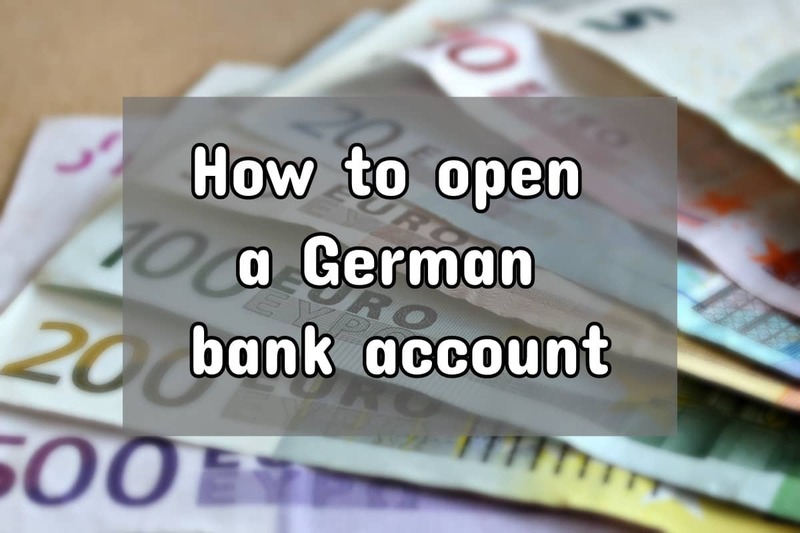 In this article, we walk you through the different types of banks and the process of how to open a bank account in Germany. Our other related articles give a comparison the 4 most popular banks for expats and how to switch your account from your current bank to another, if you signed up with a bank when you first arrived in Germany and now you regret it because their charges are high or they are never open when you need them. These are local banks, with a strong focus on small and medium-sized businesses, regional economic development and long-standing customers. In UK terms, they are similar to building societies, whereas in US terms, they are similar to credit unions. While the Volksbank or Sparkasse brands and logos are the same nationwide, each regional / city Sparkasse or Volksbank operates as an independent entity. What that means to customers is that there are some standardised products and services offered across the whole network, but each bank is its own legal entity and thus determine their own set of charges and T&Cs. In practical terms, your account therefore is not portable from, say, Berliner Sparkasse to Frankfurter Sparkasse if you move within Germany and want to keep the same in-branch access. They may be part of the same alliance but essentially they are different banks. Their branch networks are less dense than Sparkassen and Volksbanken and tend to be concentrated in larger towns and cities, usually in the centre or in the larger suburbs. Just like most other European countries, Germany has a wide selection of banks operating exclusively online. A significant proportion of these are foreign-owned institutions, due to German online banking taking off pretty late in comparison to the rest of Europe. Online banks typically have lower charges than brick-and-mortar banks, and telephone customer service is usually available for longer hours than banks with a branch network. The downside obviously being if you have a more complex issue and feel uncomfortable speaking German on the phone, this can be a stumbling block. However, that being said, all of them have email support too, so it's not really a deal breaker. Option 1: They partner up with, or are part owned by one of the traditional banks, meaning that customers can use their cash machines free of charge. comdirect bank, for example, is a partial subsidiary of Commerzbank, and thus their customers can use the network of ATMs owned and operated by the Cash Group alliance. Advantage being it’s just like using a normal brick-and-mortar bank in that sense. Option 2: Through their issuance of a MasterCard or Visa, they offer free withdrawals to their customers using their credit cards at any cash machine which has the Visa or MasterCard logo, which in Germany is pretty much any international ATM i.e. any major bank plus local Sparkassen and Volksbanken. It’s then debited typically at the end of each month automatically from your account. Great in that you can use a much bigger network of ATMs without charges. Not so great if you’re bad at managing money and want to keep track real time of what you’re spending.